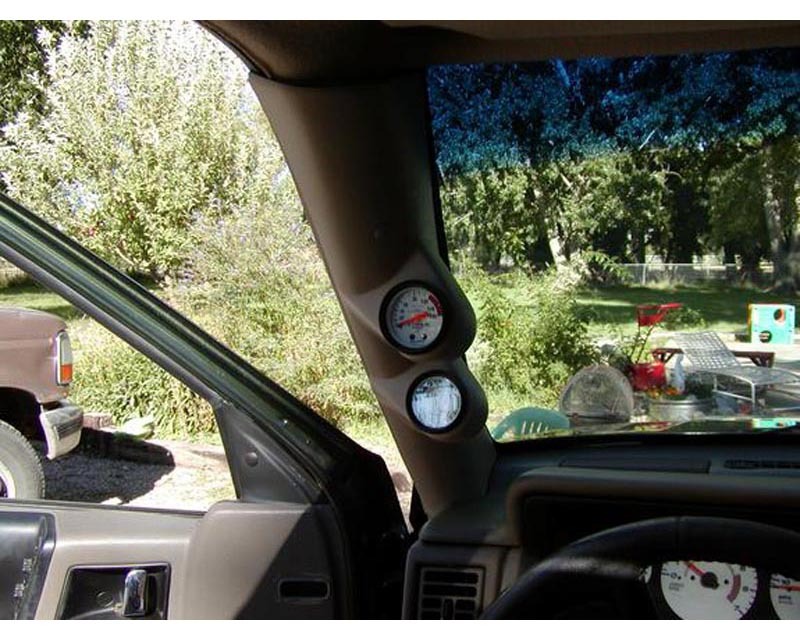 The Lotek A-Pillar Pod places two of your aftermarket 52mm gauges in a perfect "line of sight" view so you can maintain important readings of your car without taking your eyes off the road. This pod design will completely cover the lower portion of the factory pillar - not just the mid-section. So there is no unsightly lower seam. This product comes in Unpainted Gloss Black, Agate Gray or Driftwood Tan color. Please select options below. Lo-Tek Incorporated was conceived by a small group of automotive enthusiasts in the summer of 1985. Their first mission was to develop auxiliary instrumentation for the venerable Intercooled Turbo Buick introduced in 1986. These products went on to become the most popular accessory in the instrumentation aftermarket, and spawned an entire industry.